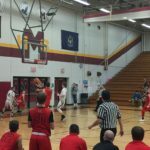 Marquette, MI – February 1, 2019 – The Marquette Redmen Varsity Basketball team steamrolled to an 80-32 victory over Menominee tonight on Fox Sports Marquette 105.1-99.9 and 103 FXD. The Redmen started off the game with a 7-0 scoring run, including a Raffy Millado triple. Bryce Brazeau turned around with his own three-pointer to improve Marquette to 10-2 within the first few minutes of the half. 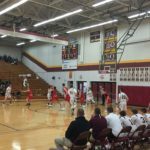 The Maroons could not answer the Redmen effectively, not even breaking 10 points in the first quarter. 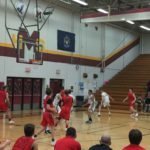 A Marius Grazulis bucket and free throw just before the buzzer gave the Redmen a 25-9 lead going into the second period. 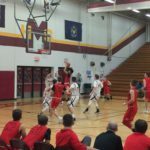 Some action under the basket. 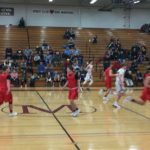 Marquette again began the period with an 8-0 scoring run for a 24-point lead against a seemingly stunned Menominee team. 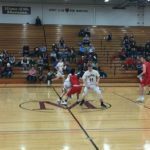 The Maroons again scored a mere nine points for the whole quarter, and the Redmen continued to stay on top of their offensive game. 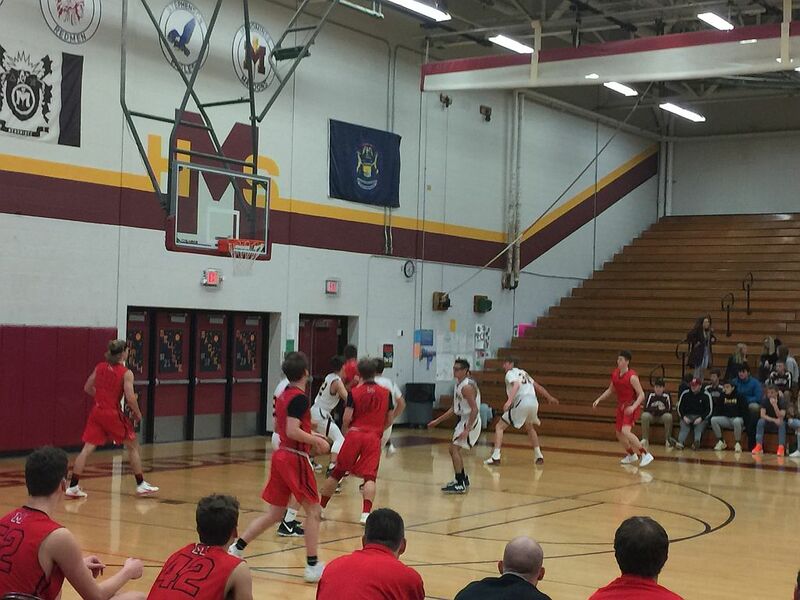 Marquette stayed firmly in the lead going into the half with a score of 41-18 over Menominee. It wasn’t much of a ball game in the second half either. 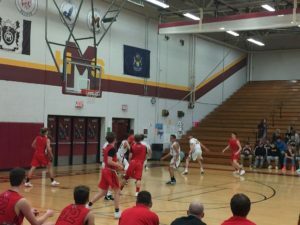 The Redmen easily widened their lead to 55-21 in the opening minutes of the third quarter. 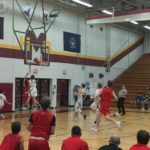 A Liam Darr triple gave the Redmen a 58-25 lead as the fourth quarter loomed. 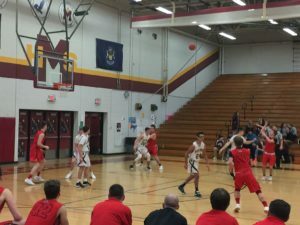 Menominee kept the running clock at bay for the time being, but hope of a comeback was all but extinguished as Marquette did not take their feet off the gas. 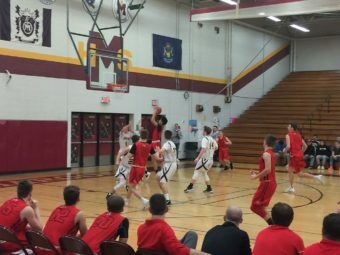 The Redmen put up the shot. 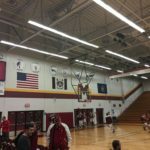 That running clock was triggered in the final quarter, and the Redmen side of the scoreboard ticked up as fast as the seconds ticked down. 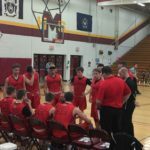 The 80-32 victory will improve the Redmen to 5-0 in the GNC. Marius Grazulis led all scorers with 16 points overall. Raffy Millado wasn’t far behind with 13 points. 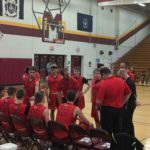 Bryce Brazeau had 11 points, John Thomson had 7. Luke Ogea, Liam Darr, and Brendan Kaski had 6 points each. 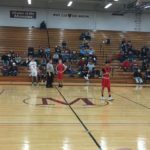 Ethan Martysz and Collin Hicks had 5 each. Robert Apple and Drew Wyble rounded out a stellar Redmen scoring game with 3 and 2 points respectively. 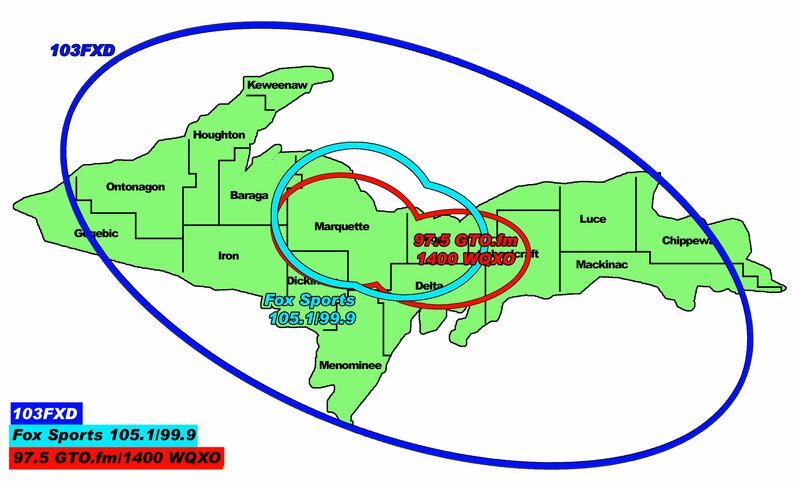 The Marquette Redmen will be on the road to Kingsford Monday, February 4th on GTO 97.5. Tune in for the pregame at 7:15 pm, tip off is at 7:45 pm. 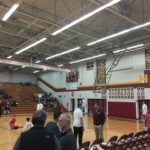 The home of the Menominee Maroons. 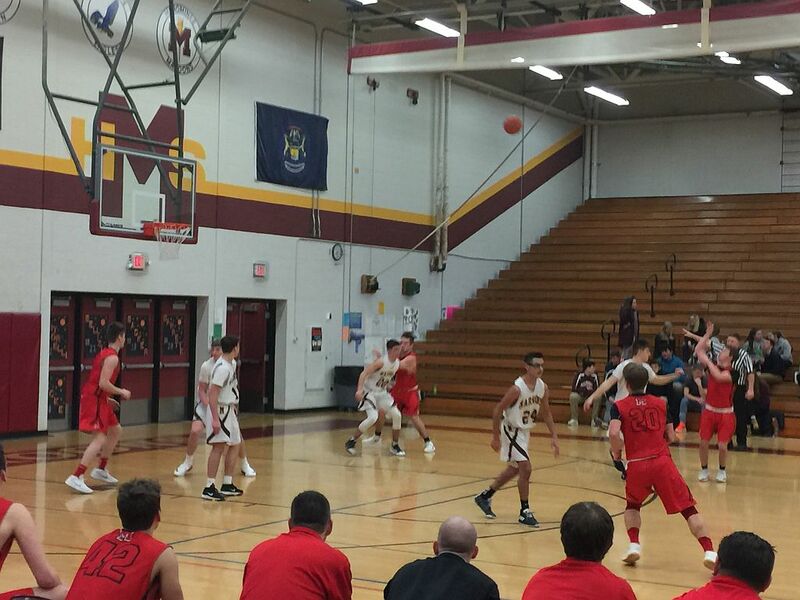 The Redmen gave the Maroons a run for their money tonight. 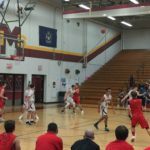 The Redmen go for the lay-up. A Maroon tries to block. Some action at center court. Raffy Millado puts up the shot. 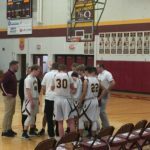 The Maroons go for the 2. A Redmen talks to the ref. The Redmen discuss their strategy. 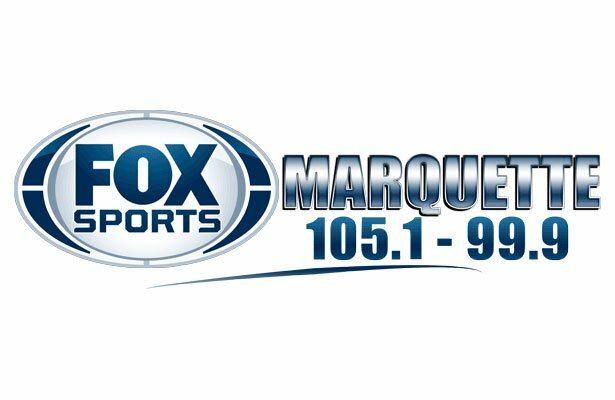 The Menominee Maroons hosted the Marquette Redmen tonight on Fox Sports Marquette 105.1-99.9 and 103 FXD.